A portion of the land in Brazil’s (”semi-arid”) Northeast Region, particularly in the state of Paraiba, currently finds itself in a ”serious to very serious” situation of desertification. The situation is affecting mainly the Caatinga, an ecosystem specific to Brazil. The Caatinga is the most diverse semi-arid biome in the world in terms of tree and shrub species and has a very high potential for production. At the same time, it is also a fragile and vulnerable ecosystem. The vegetation in the Caatinga is currently under a great deal of pressure resulting from a combination of human and environmental factors: overexploitation due to the small size of agricultural properties, climate instability, harvesting of trees and fodder at an unsustainable rate, and bush fires have led to considerable losses in biodiversity and a decrease in soil fertility. Projections concerning the future effects of global warming warn that this region (one of the most densly populated arid zones in the world) will be severely impacted. The gradual degradation of the environment leads to higher levels of poverty among rural families, as environmental degradation results in less arable land, greater food insecurity, and a decrease in local economic activity and revenue for smallholders. Moreover, the poorest families do not benefit from the region’s public policies for development (which still are not well adapted to these actors) and remain dependant on subsidy programs. But unlike other contexts where environmental degradation is occuring at a more rapid pace, scientists say that there is still time to intervene and initiate measures at the local level that are well adapted to the situation. 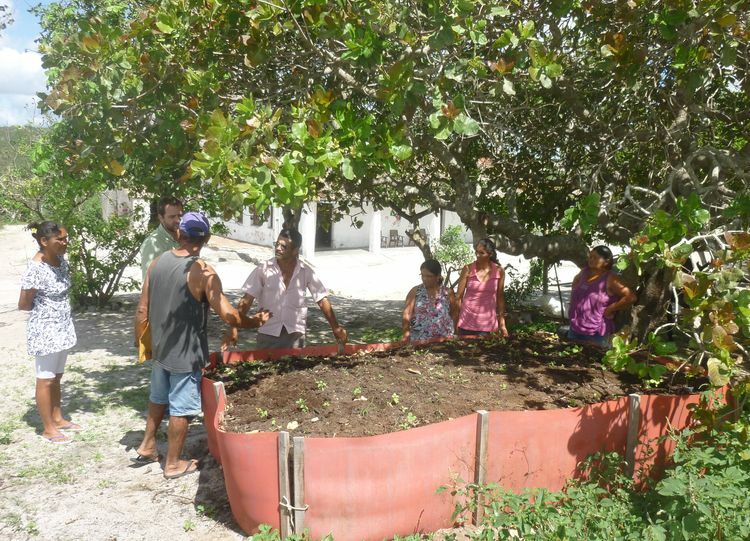 The ”Terraforte” project, which serves 5,500 smallholder families who are seeking to adapt agro-ecological methods of production, is striving to address these challenges. 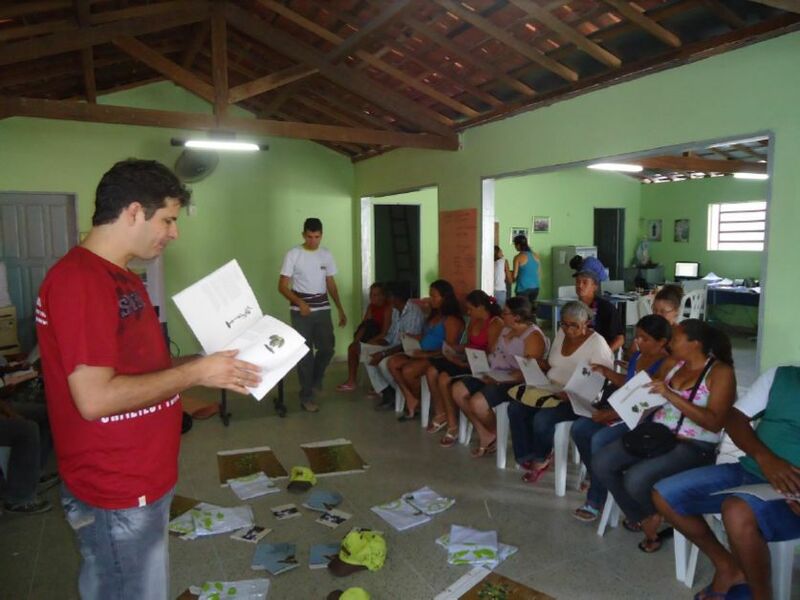 The project is being carried out in partnership with several Brazilian NGOs: As-PTA; PATAC; and the Group of Unions of Borborema, which comprises agricultural unions from 15 different towns. The project was launched in early 2011 and was initially focused on salvaging areas that had been degraded or were threatened by desertification. To do so, the project created activities intended to ease the pressure on the native vegetation. The project put in place agro-forestry systems, implemented techniques for limiting erosion, and improved the management of pastureland and fodder production. The construction of improved housing and family units for the generation of biogas have led to a considerable decrease in wood consumption. The project also seeks to increase soil fertility by improving the management of animal waste (collection, storage, and decomposition). The teams are also trying to spread awareness regarding the importance of the role and participation of women. Finally, the project will contribute to the formulation of public policies aimed at combatting desertification in the semi-arid region by means of technical references that it will have produced and distributed. The development of agro-ecology in the Caatinga makes it possible to restore and sustainably enhance this natural zone by employing inexpensive practices that are coherent with the area’s natural resources and processes. 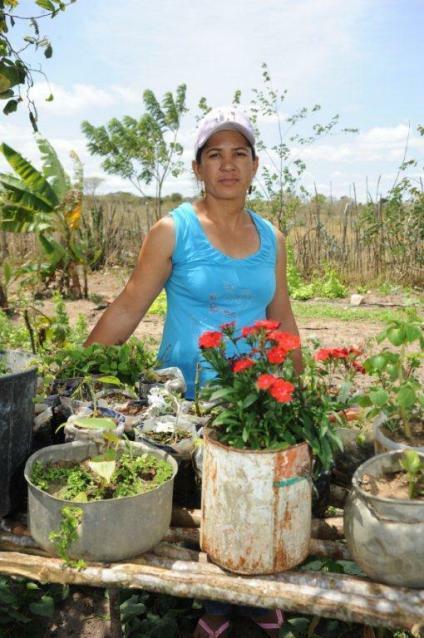 These practices increase both the productivity and resiliency of the farms to the benefit of the smallholders. This project is supported by the Commission Européenne [European Commission], the Agence Française de Développement, and the Fondation Nicolas Hulot.